CUSABIO Tag/Control Antibodies include highly specific monoclonal and polyclonal epitope tag antibodies to the most common tags used by researchers. Epitope tags are frequently used with recombinant protein from E. coli, yeast, insect or mammalian cell cultures to allow researchers to selectively extract a target protein from the endogenous samples. CUSABIO Tag/Control Antibodies can also serve as a universal detection method by using tag-specific antibodies to these sequences in applications such as Western blot, ELISA, immunofluorescence, and immunoprecipitation. 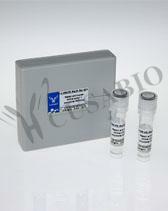 CUSABIO offer a wide selection of Tag/Control Antibodies, including conjugates to Biotin and HRP.